Notice: This product was discontinued on Jan 10, 2011. 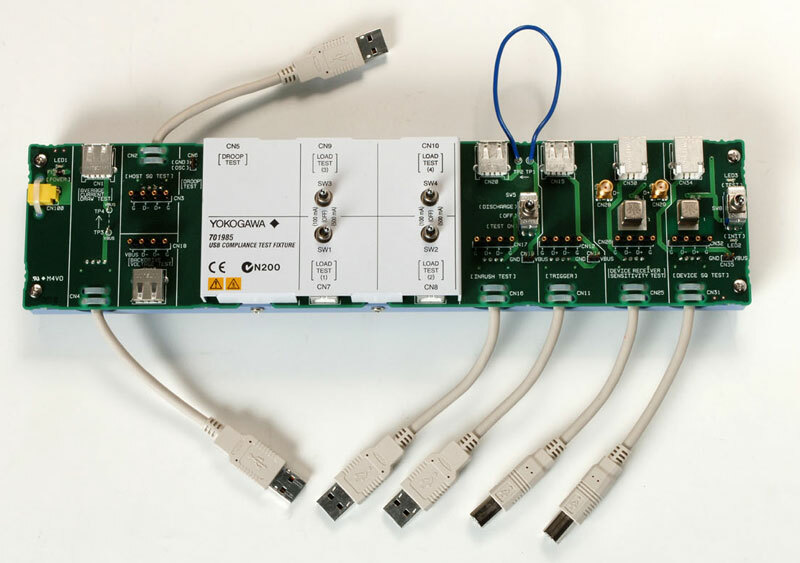 The USB 2.0 compliance test solution busXplorerTM-USB, takes advantage of the wide variety of DL trigger and analysis functions to offer a system for carrying out highly automated USB compliance tests. In addition to facilitating execution of the various tests from a PC via Ethernet, the newly developed test software displays detailed test procedures including the wiring method. 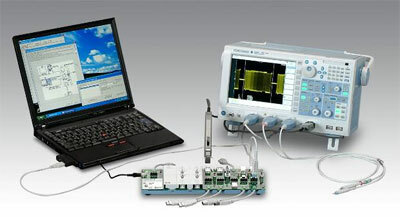 This allows even inexperienced operators to easily perform the tests. BusXplorerTM-USB is compatible with Yokogawa models DL9240, DL9240L, and DL6154. BusXplorerTM-USB features a variety of convenient functions for carrying out tests of USB interfaces and connected devices, making it very useful as a USB interface hardware development support tool during the engineering stages. There are many situations in which engineers need to check waveform data in detail, such as when problems are found in test results. In these cases, detailed analyses of signal waveforms can be performed by using the system in conjunction with the Xviewer Waveform Analysis Tool (sold separately). The busXplorerTM-USB system also supports repeated execution of tests and management of test results, allowing you to repeat specific tests during development to simplify evaluations. *1) busXplorerTM-USB comprises a test fixture and test software. *2) An active probe, differential probe, current probe, or other accessory is required in order to perform USB compliance tests. The equipment that is required varies depending on the test. Please contact us for details.